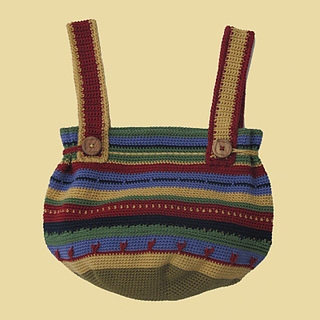 The Free Spirit Tote will quickly become one of your favorite projects. 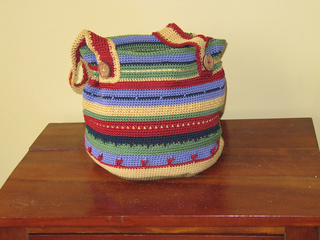 The majority of the bag is done in single crochet with variations such as slip stitch embroidery and frequent color changes to make it anything but boring. The Free Spirit Tote is nice and roomy with button loops that go around the sides of the top to cinch in the opening and keep contents more secure. The small quantities of yarn required for each color make this a great project for all those leftover skeins hiding in your stash. Finished measurements: Approximately 30.25 inches circumference at opening and 13.5 inches tall excluding handles. This pattern uses US crochet terminology.